The Best Western Abbey Inn and Suites is a relaxed lodge-style hotel in Saint George that offers a comfortable place to stay for business and leisure travelers. Rated as having one of the best locations in St. George, the Best Western Abbey Inn is a few miles from the Dixie Convention Center, St. George Utah Temple, and the Brigham Young Winter Home and Office museum. 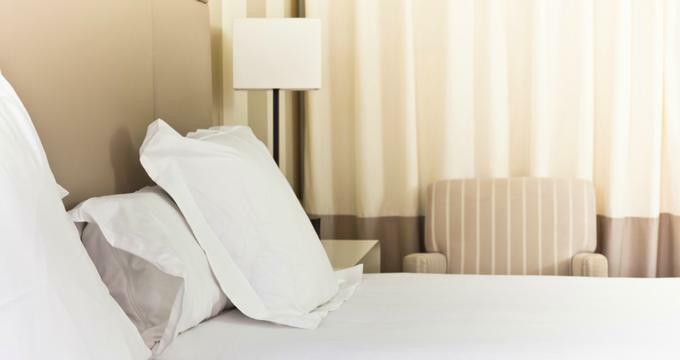 The hotel features well-appointed guest rooms with modern décor and contemporary furnishings, en-suite bathrooms, and kitchenettes with fridges, coffee makers, and microwaves. Upgraded rooms have sitting areas with sofas and fireplaces, and one luxury suite boasts Hollywood-themed décor and bathrooms with whirlpool tubs and guests can enjoy a complimentary hot breakfast every morning. Other amenities and guest services at the hotel include a heated outdoor swimming pool and hot tub, a children’s pool, a fully equipped fitness center, meeting rooms, and an on-site laundry. Free shuttle services around the area are offered, and an electric car-charging station is available on site. The Best Western Abbey Inn and Suites features a variety of well-appointed guest rooms and deluxe suites with modern décor and contemporary furnishings. All accommodations feature double, king or queen-size pillow-top beds dressed in high-quality linens, plush comforters and a range of pillows, and en-suite bathrooms with shower/bath combinations or separate showers and baths, quality cotton towels, signature bathrobes and slippers, and designer bath products. Suites have spacious living areas with stylish décor and comfortable sofas and armchairs, work desks and chairs, and kitchenettes with coffeemakers and microwaves, and mini-fridges. Modern amenities are available in all accommodations and include air-conditioning and ceiling fans, HD flat-screen televisions with cable channels, direct dial telephones with voicemail services, AM/FM radio stereos, hairdryers, irons and ironing boards, and complimentary wireless Internet. Additional sofa or rollaway beds are available on request, along with cribs and adjoining rooms. A complimentary hot breakfast buffet is served every morning in the dining room and includes freshly baked bread and pastries, seasonal fruit, cereals and yogurt, a variety of signature dishes, and freshly brewed coffee, tea, and juices. Amenities at the Best Western Abbey Inn and Suites include a complimentary full breakfast buffet every morning, an outdoor heated swimming pool which is open year-round, a hot tub and a spa with sauna and steam room, and a fully equipped fitness center with cardio equipment and weights. The hotel has a 24-hour front desk manned by multilingual staff who are on hand to help with any concierge services required; there are a gift shop and newsstand on site and ice/vending machines throughout the hotel. Modern meeting facilities are available for business and corporate gatherings with all the necessary audiovisual equipment, a business center provides printing, copying, faxing and shipping services, along with high-speed wireless Internet and there is free parking for guests around the property. Other amenities include a coin-operated laundry facility, banquet and conference facilities, express and late checkout, computer rental services, and shuttles to and from the town. The Best Western Abbey Inn and Suites feature over 4,000 square feet of space for corporate functions and business meetings, with state-of-the-art audiovisual equipment, smaller break-out rooms, and other services such as catering and entertainment. The hotel is within a few miles of the Dixie Convention Center. The Best Western Abbey Inn also caters for special celebrations such as weddings, receptions and gala dinners, with a variety of flexible event spaces for different size functions. Exclusive services include award-winning catering and cuisine, state-of-the-art audiovisual equipment, and professional event planning and management services. Other services include customized menu planning and tastings, private dining rooms, a dance floor and stage if required, live music and entertainment, photographers, florists, specialty linens and décor and customized wedding cakes.